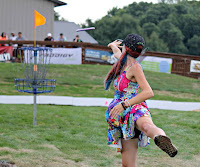 Have you seen a flash of bright red hair and heard an infectious laugh coming from somewhere on the disc golf course? If so, you’ve experienced a Tina sighting! With 2016 being her first full season on tour, chances are you’ve said hi and talked about whales. But there’s so much more to know about the newest member of Dynamic Disc’s Team Fuzion. I had the chance to chat it up with Tina recently; I got some great tips about golf and really learned what motivates her to pursue her passion. When you talk with women disc golfers, it’s not uncommon to learn that they have a background in volleyball, soccer, or softball. Those softball players have some snap! It’s easy to see during round coverage that Tina has some real skill and talent, so I was curious what kind of athletic background she had. “Does marching band count?” she asked, with a laugh. Surprisingly, Tina doesn’t possess the kinesthetic background that you’d image an open player having. From being able to crush a drive or dialing in her putt, Tina’s solid form comes from determination and lots of practice. Free time for her includes a lot of field work, and is one of the things she enjoys most during the off-season. 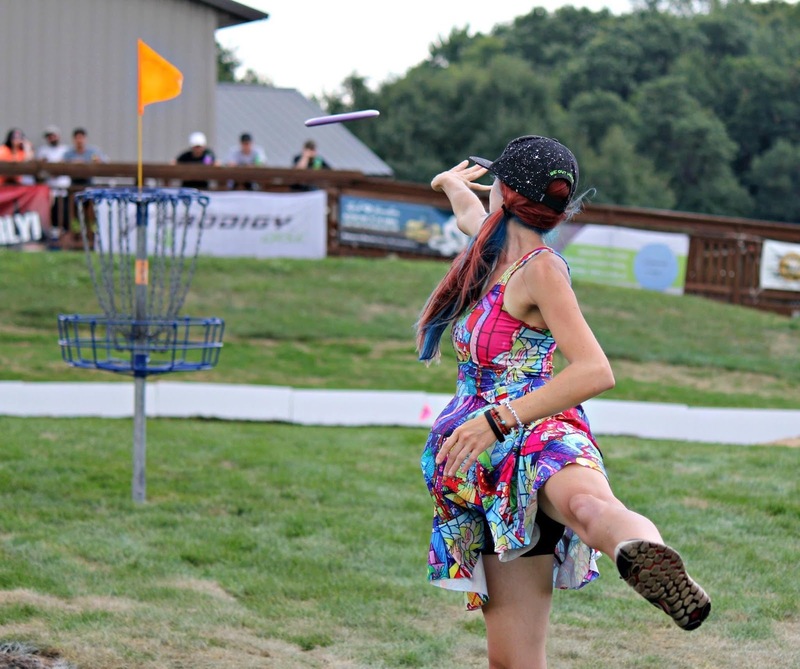 Stanaitis started playing in tournaments about two years after falling in love with disc golf, and she suddenly found a competitive side of her that she didn’t quite know about. She notes the sport as a constant learning experience; this season she’s focusing on her reach back and perfecting her form. She’s also looking forward to experimenting with some rollers and other trick shots. Ultimately, she wants to be a distance thrower, and by the looks of it, I think she’ll be there in no time. In her downtime, not that she has much of it, Tina is heavily involved with Women’s Disc Golf Outreach. At the time of our interview she was in Arizona, and was able to get a lot of work done there before hitting the road. Tina acts as the group’s treasurer, and also handles other miscellaneous tasks when needed. One exciting thing she shared with me was the introduction of women’s only online bag tags through DGTags.com. Partnered with DGA, this application allows for women across the country to utilize one bag tag system, a system that’s designed just for them. A portion of all tag purchases also go to charity, and should be available by Spring 2017. I also got clued in to another project that Women’s Disc Golf Outreach is working on; while it’s still in the planning stages, Tina and her group are creating a “sister network” between the US and Europe to arrange for hosting while traveling. This type of program works to further strengthen the women’s disc golf community, and fosters stronger ties with ladies overseas. Tina has big dreams for the coming year. 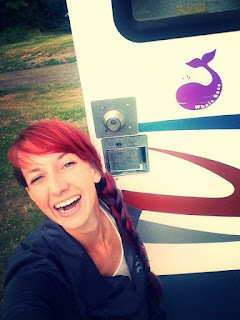 Along with continuing to generate revenue from her business Whale Sacs, her and Eric Oakley have joined forces to embark upon the Whale Pants tour. Stopping in cities near major tournaments, they are hosting free clinics and attending local leagues. “It’s rewarding on a mental level” she says, when talking about the Whale Pants efforts. Tina grabs the gals while Eric takes the guys, and they spend an afternoon or evening teaching shots and helping to perfect people’s form. If only a few people show up, they end up getting some 1 on 1 lessons. Both Tina and Eric have a huge list of stops throughout the country, and between competing, teaching, and vending at tournaments, they have their hands full. Not too full to add a mascot to their RV, however. Despite Simon Lizotte calling to give her some grief, Tina has adopted a road kitty named Spout. The goal is to eventually get Spout on the course, but until then, she spends her time chewing cords all over the RV. The life of a touring pro is grueling - you go weeks at a time without seeing family or certain friends, and sometimes you get surprised with RV repair bills that total into the thousands. When the days are long and the courses are hard, what keeps Tina going? “You gotta grind, that’s the life. Be willing to work as hard as you possibly can for what you love to do. But it’s all worth it, that’s why we’re here!” I’d say with that attitude, she’s off to a great start for the 2017 season.